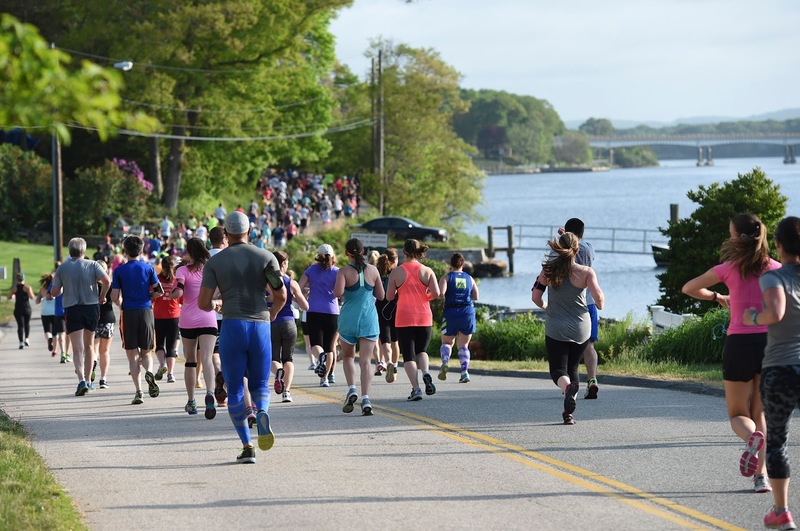 We know that the strict course limits for the Mystic Half Marathon have frustrated runners who want in on this beautiful, sold-out race. While we can’t do anything to change the number of runners allowed on the course, we can make sure every one of those spots is filled. How do we have registration openings? At each HMF event, a set number of registration spaces are reserved for race sponsors (allotted as part of their sponsorship) and community partners, such as the local training group. This year, we have confirmed that some of these spaces will not be used. We will open limited registration for charity starting Thursday, April 28, at 9:00 am, (register here). With a lot of inquiries and a limited number of spaces available, these spots will be at a premium to benefit a great cause – the future runners in CT communities! In addition to benefitting the charitable works of the Mystic Rotary, as every race registration will do, these limited spaces will also benefit the HMF FitKids in School program. $20 of each $100 charity race registration fee will go directly to this initiative. 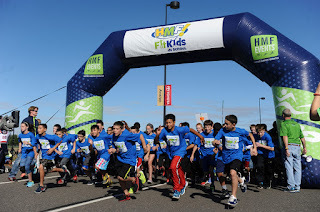 The HMF FitKids in School program is a non-profit provided free to schools and students across the state through the generous support of the Aetna Foundation, United Bank Connecticut and runner donations. Who will get to register? We’ve been telling runners to follow us on social media and check our Web site for updates if spaces become available. We have to accommodate new registration on a first-come, first-served basis since we know we can’t get everyone in that has emailed, called or messaged us. We’re giving you a day of advanced notice, tell your friends! We don’t know how long the limited spaces will be open, so please act quickly. Want in on the Triple Half Challenge? If you ran the April 24 Harvard Pilgrim Middletown Half Marathon but weren’t able to get in the Triple Half Challenge, you may still participate! You must register for one of these limited spaces before charity registration closes and register for the October 8 Eversource Hartford Half Marathon. 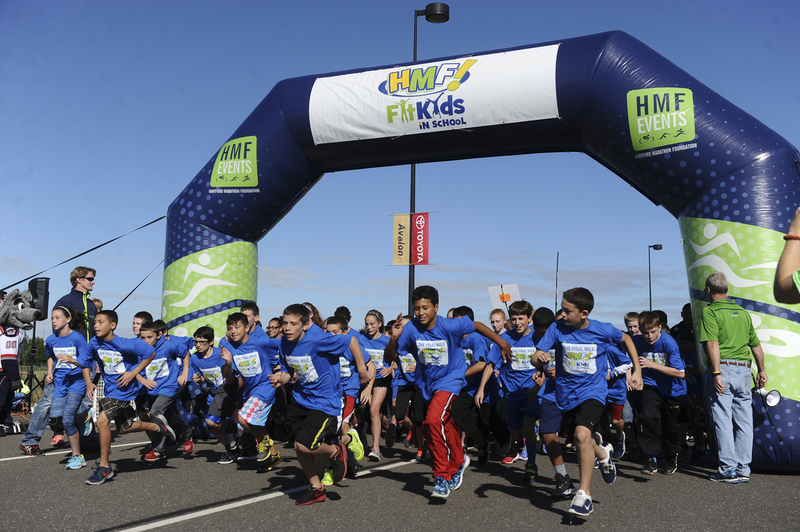 Just click here to register (opens 4/28 at 9 am), your tax deductible $20 donation to HMF FitKids in School will be processed within the Chronotrack registration process. Registered for the 10K and want to upgrade to the Half? 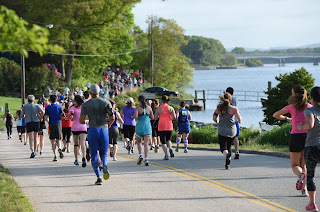 Registered 10K runners may upgrade to the Mystic Half by following the directions for making a Race Distance Transfer here. You will pay the upgrade in fees and $10 transfer fee in addition to the $20 charity donation. Being a strong runner takes different effort for different people. Some follow training plans, seek expertise of coaches or run with groups; others heavily cross train with swimming, biking, strength training or yoga; some of us have strict diets or very particular food rituals to help our performance. There’s no one right way to create the balance that works best for you. We want to help you explore more options and give you credible sources to connect with. With the support of United Bank, we’re putting together a top-notch crew of local resources to bring the experts to you - here on the blog, on our social pages and at special race events. Our partners in physical therapy will address injury prevention and recovery. The latest trends in apparel and shoes will be delivered by running trend experts. We want to hear from you – send your questions and talk with our experts on Facebook and Twitter @runHMF. We’ll be introducing experts in the next month. United Bank is a returning HMF partner with headquarters right here in Glastonbury and more than 50 branches throughout Connecticut and Massachusetts. Check out more about the great things they do for their customers and employees here! We understand you have been very anxious to get reschedule options for Harvard Pilgrim Middletown Half & Legends 4-Mile. Please know we’ve been working diligently on a whole mess of details, the things runners never need to think about behind the scenes. Every date required extensive consideration of many factors - we have had to give thorough consideration to seven different dates before confirming from all fronts that April 24 worked best. From the police, fire and medical teams that ensure the safety of runners, volunteers and spectators to the vendors that provide food, timing services, course support etc. We have to be confident in replacing all 250 volunteers. There were 125 Mondo pizzas and more than a thousand NoRA cupcakes ready to go for race day – the resources it takes to make that volume happen have to be available again to deliver for runners on April 24. The city calendar, public works department and local churches need to be on board and notified about the impact of the date on the community. For example, the Daffodil Festival is another large community event in Middletown on April 24 that will be impacted by the race. Adjustments will have to be made to the race course to ensure the most minimal impact on that event - please see updates to the course map here. And if April 24 doesn't work for you, the deferral system allows you the options to choose options that will. But, PLEASE make sure you submit for your deferral here before the deadline on April 15 to guarantee you that flexibility. Those running in the Triple Half Challenge or Spring Ahead Series, please review the options outlined in the side-bar. We have put together these options to try to make this unexpected change work as best it can for all of you. We know you have other races planned, work schedules and travel or child care arrangements to make. Thank you for running with us, we look forward to seeing you on April 24 or at another race soon. - If you'll be running with us on April 24, you don't have to do anything. We'll just keep your registration confirmed and look forward to seeing you on the new race date! If you received your race bib in the mail or from your group leader, use it on April 24. No new bib will be issued. - If you are unable to join us on April 24, you can get an HMF deferral credit that's good to use for any of our remaining, open 2016 events or for a 2017 HMF event (registration opens in December). If you need to defer you must do so by April 15 at 11:59 p.m.
To defer, click here and login to your Chronotrack profile. If you never set up a ChronoTrack profile or forgot your password, click here and follow the prompts. Once logged in, click Change Race next to Middletown and follow the prompts. Full instructions on deferring are here. Please contact ChronoTrack Registration Support (888-600-2298) if you experience any technical issues. Please note that deferrals must be done by April 15 at 11:59 p.m. If you have friends that were signed up please remind them, too! The safety of runners, volunteers and spectators is of utmost importance to us. We fully support the city of Middletown in their decision to postpone tomorrow's Harvard Pilgrim Middletown Half Marathon and Legends 4-Mile. We will provide updates on our website and via Facebook/Twitter as available while we continue to work with the city on rescheduling. We ask your help in communicating to participants about the change. Participants in the Triple Half Challenge and Spring Ahead series will also be provided details as we confirm them. Please make sure to check your email and HMF communications for updates to address your questions. Thank you for your understanding and patience as we work through this situation. We have been closely monitoring the weather forecast which calls for several inches of snow tomorrow but, more importantly, sustained winds of close to 60 mph at exactly the time the Harvard Pilgrim Half Marathon would be underway. This morning the city called together its public safety team including the Health Department, Emergency Management, the Middletown Fire Department, the Middletown Police Department and the Public Works Department. Each of those departments has a hand in the management of the public's safety during the race. We also consulted with Middlesex Hospital which provides medical services during the race. The departments unanimously recommended that we postpone tomorrow's race due to safety concerns. Included in their considerations were the potential tomorrow morning of downed wires, downed trees, roads slick with snow and ice, difficult wind chill conditions, our inability to keep road barriers safely in place in high wind conditions, and an inability to provide shelter due to tents being blown around in the wind. The City of Middletown and the Hartford Marathon Foundation therefore have jointly decided to postpone tomorrow'srace. After a careful evaluation and consultation with the appropriate authorities we believe it is in the public's and runners' interest to do so. We will work closely together to select another date as soon as possible.